Fame has some pretty amazing power tangled up with it…it can truly screw a person up who suddenly finds themselves in the spotlight with the world paying more attention than ever before…alternatively, that same attention paid by the world at large can help motivate others for the greater good. Sure, some folks get irate when celebrities use their platform to push their political agendas (usually only irate at the ones who have views differing from our own)…but I kind of feel it is lazy and bordering on irresponsible to not help advance the world, and if your job has given your voice amplification beyond what the rest of us can use…use it! Yes, I, too, get annoyed by celebs around election time, especially those who oppose what I work toward, but there isn’t really anybody on the opposing side of issues like poverty and access to safe drinking water and bed nets to avoid malaria and eradicating HIV/AIDS and so many other universal issues. Charlize Theron walks the walk as well as she talks the talk, and her organization/foundation, the Charlize Theron Africa Outreach Program works hard for a brighter future for Sub-Saharan Africa. Theron is South African and deeply ensconced in trying to prevent HIV infection among youth. Rather than insert the organization’s work in a top-down charity model (as we know, this kind of “help” never works the way it is intended), Theron’s organizations partners with community-based groups on the ground in small communities. These are the folks with expertise and ability to adroitly change tack as needs change, so they are supported through grants, networking, and drawing international attention to their work. CTAOP currently bolsters the work of five groups in the Democratic Republic of Congo and South Africa. Go to this interactive map to learn more about the innovation happening in these regions, and consider supporting the work to keep young people healthy and strong, marching into the future. A friend of mine recently told me about this organization, and I wish I had known of them earlier–I love what they are up to and the work of perpetually breaking down barriers. Volunteer Positive is an organization committed to providing international service and volunteer opportunities for people affected by HIV. They empower people living with HIV/AIDS to be global volunteers, domestically and abroad, by educating international organizations that use volunteer service as well as educating and enriching the HIV community, letting nothing stand in the way of making a difference. By being of service, those with HIV break down misinformation and unnecessary fears, so they create awareness and knowledge through person-to-person diplomacy. Their website is a treasure trove of analysis and exploration of the desire to serve and the planning and education that make a world of difference in a service trip, for both the volunteer and the host community/project. There is a wealth of information about how to plan, medical concerns (and topics where there needn’t be concern or fear, part of the education process), resources for how to choose a volunteer experience that will most light your fire, how to negotiate the pre-, during, and post-trip maze of questions and concerns, and several specific trip offerings as well. There are also supportive social networks within the organization so those with trepidation can connect with and learn from others who have gone before, letting nothing stand in the way of their commitment to serve. It is a website we can all learn from, and the care and sensitivity put into how they’ve gathered information and resources is a great model for anyone looking to support all volunteers, overseas and at home. Go take a spin around Volunteer Positive, click some links, read, and be certain that the road to health, for everyone, is made smoother when you do for others. It’s good for the soul, the mind, and the body. With the passing of Elizabeth Taylor, we have lost not only a deity of the entertainment industry, but also one of the most vocal and vigorous advocates in the fight against HIV/AIDS. 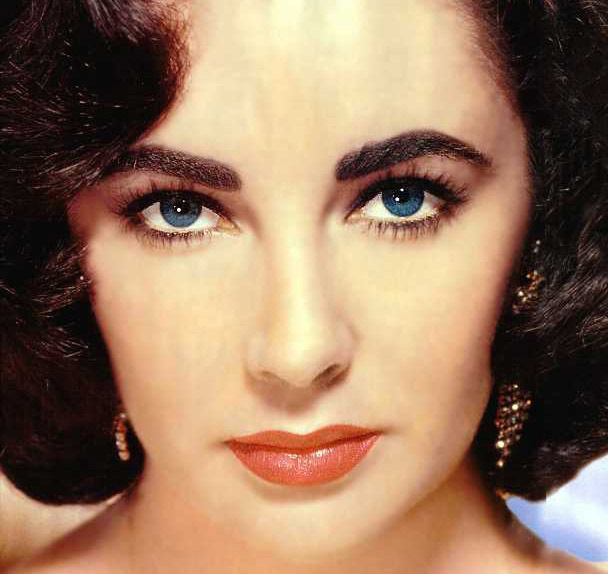 During the dark early days of the epidemic, when presidents and media were afraid to call it by name, Elizabeth Taylor never flagged in pressing the powers that be about the urgency of action. She stood strong and led, and never retreated from the fight to shine a light upon AIDS, to beat back the ignorance that caused inaction, and embraced those living with and dying from HIV-related disease with a compassion and grace to which the rest of us can only aspire. Her legacy and legend truly made a difference. Support the fight, and consider honoring her memory, with your support of The Elizabeth Taylor AIDS Foundation. You know who I love? Annie Lennox. Her music, her politics, her malleability with image and sound, the whole package is an erudite, classy bundle of unafraid activism. Annie, who has long been a fierce advocate for women’s equality and the fight against AIDS, is so plugged in, recently doing a trip with Amnesty International that she recounts in her most recent blog post, pasted below. Her website, http://www.annielennox.com is a fun destination, and her charitable organization, SING (“A Voice for HIV/AIDS Women and Children”), is a perfect spot for your attention and support. There’s an unquestionable zeitgeist in the air, with a big capital “W” at the fore of it..
Just came back from a special event at Amnesty International, focusing on the plight of women in Congo. Had an earlier meet with various folks..The White Ribbon Alliance/ Women 4 Women, and Oxfam..trying to work out how we can create a broader and more effective profile and platform for the 100th Anniversary of International Women’s Day here in the UK. There’s an unquestionable zeitgeist in the air, with a big capital “W” at the fore of it..Many western women are complacent..We inherited the benefits of an emancipation that we didn’t have to struggle for, therefore we took it for granted, and the message became skewed… even ridiculed, for all kinds of reasons. The term “Feminism” is slightly abashed and cowering in a cupboard somewhere, engulfed by the heady aroma of the dying embers of burned bras, and unshaved armpits. Feminists don’t need to be “strident”, or “ball breakers”, or even “female” to qualify. And here’s the deal.. ”Feminism“ has been alive and working for decades in every part of the globe, and at all kinds of levels all along. It’s just that the dots haven’t always been joined up… the separate manifestations haven’t always been connected as a whole. We’re at a point where the light needs to shine on it again, so that we can acknowledge the force and power that we are “collectively” in order to become redefined and recognised for who we all are.. Now. Just because Christmas is at our doorstep, doesn’t mean you should stop giving. Do you need charitable donations for the tax man, before December 31? ONE is an amazing organization, and even if you’ve given until it hurts, you can still go here to take action while keeping your wallet closed. Encourage President Obama to invest in the Global Fund for the end of year budgets and help the world’s most vulnerable countries continue their progress against HIV/AIDS, TB, and malaria (all treatable and preventable diseases). The money that could be allocated for this is not instead of healthcare here at home, we’re not robbing Peter to pay Paul–and it will make a world of difference. Let your voice be heard. Click over and take action.